These days, marketing is under big time pressure to perform. With budgets rapidly shifting to the CMO, the demand for marketing to prove its value to the business is only going up. Smart organizations are using data science to capture and disseminate this insight. The trouble is most marketing organizations are lukewarm on both how good their own insights are and how good their business partners are at making their insights actionable. Advanced analytics and data science, when used the right way, can result in better allocated budgets and a more accurate measure of marketing performance — which can mean better, smarter marketing overall. 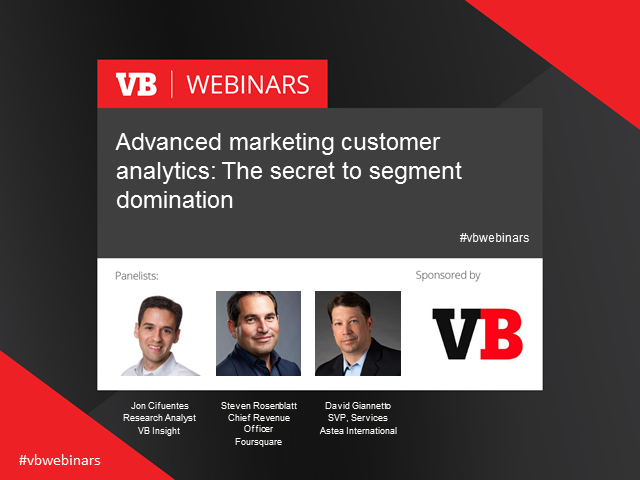 This webinar will cover how top marketers are using marketing data to their advantage and driving huge value with analytics. *Learn about attribution, and the most common models used that aren’t last touch. This editorial webinar will be based on the data uncovered in Cifuentes' latest research report "State of Marketing Analytics: Insights in the Age of the Customer"